Sugar Club on Broadway near 82nd Street will host the market on Sunday, Sept. 27. 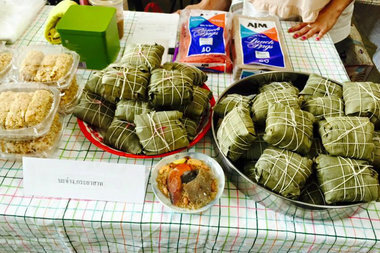 ELMHURST — Enjoy imported Thai snacks and specialty desserts at Sugar Club's monthly market on Sunday. The large coffee bar, market and food stand — which expanded last year from a tiny storefront to a 1,200-square-foot space a few doors down on Broadway — will host a specialty market on Sept. 27 from noon until 5 p.m. Tables will be set up throughout the store with imported snacks and homemade food from local Thai chefs. The shop's coffee bar will also sell specialty ice cream and other desserts. Sugar Club's owner told DNAinfo New York last year that he hoped his store would be a gathering space for Elmhurst's large Thai community. It features job boards as well as housing and information boards, and frequently hosts markets with discounts on its food. They also feature local chefs and designers at its markets. For more information, visit Sugar Club's Facebook page.